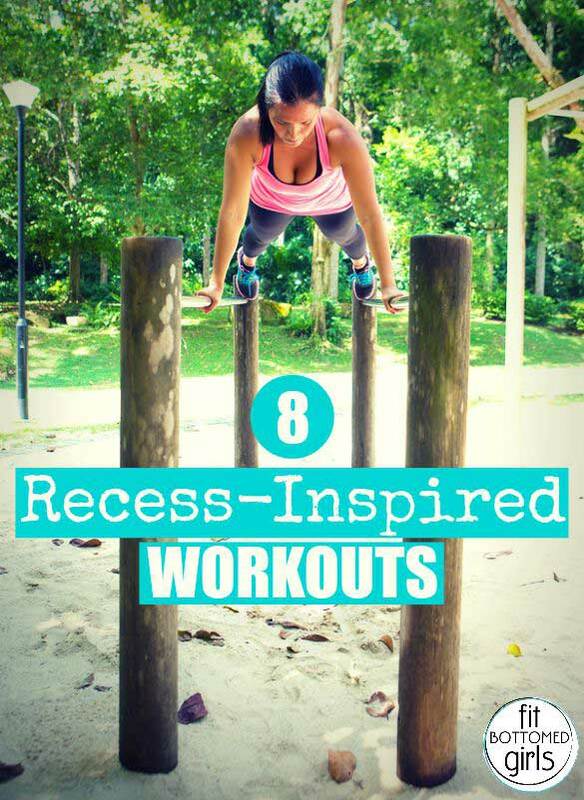 Recess Is a New Workout Trend We Like! Try Recess for Your Next Workout! Ever notice how you can’t spell “workout” without the word “work?” Most of us view work as something we have to do, not necessarily something that we want to do. It’s the opposite of leisure and the killer of fun. We all know that we should exercise, but wouldn’t being active be more fun if it was less like work and more like the recess you remember as a kid where you were dying to get outside to run around and play? When kids exercise, it’s called play! When adults exercise, it’s called working out. But what if you could recapture the fun and fitness benefits of play as an adult? Workouts that mimic the games and activities of your childhood are a hot new trend in fitness. These nostalgic exercises are becoming popular because they feel more like fun than traditional fitness and take participants back to a carefree time when they didn’t have to worry about bills, what to make for dinner or acing that presentation at work. It’s like being a kid again! Except this go around, you know that while you’re having fun, you’re also burning a bunch of calories, building muscles and strengthening your heart. Everyone wins! Continue reading for eight recess-inspired activities that are more than kid’s play! What a cute idea! Sometimes I like to move my workout to the yard – either exercising outside or sometimes just gardening. It’s nice to switch it up sometimes and “working out” on the playground sounds like a lot of fun! Thank you for posting this! I was just thinking to myself the other day that the best workouts I’ve gotten recently have been very childlike. For example, yesterday, some friends of mine and I went to the zoo. We walked around for five hours, enjoying the sights and at one point, I MIGHT have climbed on a brass statue of monkeys for a photo op. It’s why I enjoy bouldering – while it can be intense, it still reminds me of all of the time I spent climbing on rocks as a kid. I also try to take my young cousins to the park whenever possible – I run with them, swing on the swings (there’s a big disc swing that works my abs if I swing using my core instead of my legs) and climb (most of the structures are made of ROPE). The other weekend I put on my Vibrams and we played frisbee – since we’re all bad at throwing, I spent a LOT of time just running around the field. Hehe. Just want to say your article is as surprising. The clearness in your post is simply nice and i could assume you’re an expert on this subject. Well with your permission allow me to grab your RSS feed to keep up to date with forthcoming post. Thanks a million and please continue the enjoyable work.